Rob captured historic moments, people, and places around Vermont during his 30 year career as a newspaper photographer in the late 20th Century. Visit his Twentypast page for more photographs. Bernie Sanders' long political career in Vermont might have never taken off if he hadn't won a razor-thin victory over Gordon Paquette in the race for Burlington mayor in 1981. This photo was first published in the Vanguard Press. Bill Barton of WCAX and Jym Wilson of the Burlington Free Press also captured the moment at the Sanders victory party. It's a lucky kid that gets to grow up in Vermont. What could be better than sitting in the bed of the truck, rolling down 116 towards Bristol with the wind in your hair, probably going to get a creemee with Mom and Grandma who are riding up front. A similar photo ran in the Burlington Free Press in 1986. A KKK rally in southern Vermont in the late 1970s. Lois Bodoky, the famous Hot Dog Lady of the Church Street Marketplace, served up dogs in Burlington from 1977-2005. She was a culinary institution who would even work her hot dog stand on arctic winter days, sometimes wrapping her cart in a cocoon of plastic. This photo ran in the Vanguard Press in the early 1980s. Puddles on the Church Street Marketplace reflect umbrella clad pedestrians in this Burlington Free Press photo taken about 1986. In Vermont politicians keep in touch with the dairy industry. Literally. Madeleine Kunin was Lt. Governor when she took part in the Annual "Political Pull" milking contest at the Vermont Farm Show in Barre in the early 1980s. Vermonters were impressed enough with her milking skills to elect her Governor three times--the first time in U.S. history a woman was to do so. On a snowy winter day in the mid-1980s, a car went careening up the Church Street Marketplace, scattering pedestrians for two blocks before crashing in front of JC Penny's. The driver sustained minor injuries but no one else was hurt. The Champlain Valley Fair is an annual celebration that marks the unofficial end of summer and the beginning of the school year. 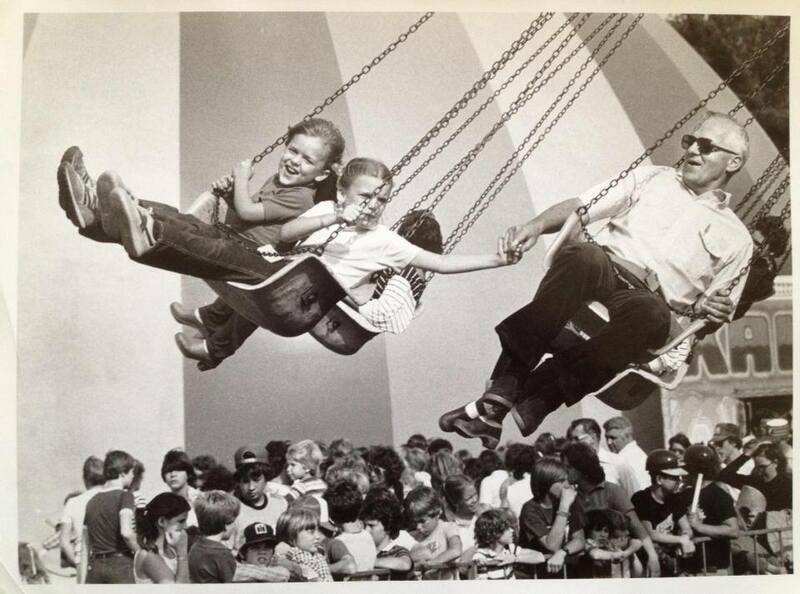 Two girls seem to have differing opinions about the Yo-Yo while sharing a ride with their grandfather on Kid's Day at the Fair around 1982. The Decentz were a major part of a vibrant musical landscape in Burlington and throughout Vermont in the last decades of the 20th Century. Shown outside Nectar's around 1981 they are, left to right: Jimmy Ryan (bass); Pamela Polston (vocals); Peter Torrey (drums); Brett Hughes (guitar and vocals); Jimmy Swift (sound); and Gordon Stone (pedal steel). "Gravy...No Gravy?" was the question when Burlington legend Nectar "Nector" Rorris served up fries at Nector's, a landmark eatery and bar on Main Street that also served as a starting point for several bands including Phish. This photo ran in the Vanguard Press in the early 1980s. 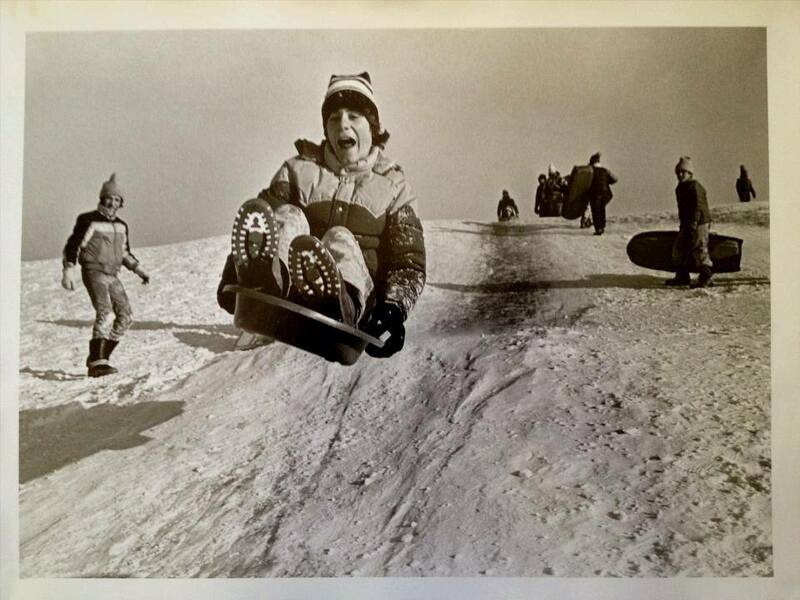 A young airborne sledder at the Burlington Country Club would tell you-winter can be a blast if you make friends with it. As a friend of mine says,"There's no such thing as bad weather in Vermont-just poor clothing choices." "Creature feature" of "two-headed" horse photographed in a Jericho field in 1985. This photo was never published.